Discreet + Discrete began in 2009 as a passion project in the communal art area in 128 Vine. While Tom King was on family leave, he started making small tables and chairs out of metal and wood during nap time. As more people took notice of his work, more requests came in and Tom was able to quit his job. Tom took over the art space at 128 Vine and started to hire talented artists to keep up with the demand. Everyone at Discreet + Discrete has a background in visual art ranging from drawing to sculpture, all of which shine through in each custom project. Tom is the owner of the company. He is an OCAD Graduate with a background in drawing and painting, which later mutated into a love of fabrication and design. As a result, Tom's metal and woodwork is often described as sculptural. We have a history of 110 years of forging in our family. We offer custom designing and hand forging all products from scratch. 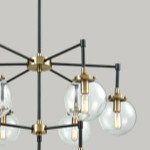 METALTNT is a Toronto builder of quality custom Metal Furniture and Lightning. Our artisans have the experience, training, and skills that allow them to execute any project with precision and superior workmanship that will last a lifetime at a very affordable price. You can count on our fourth-generation expertise to deliver superior results and to bring your project vision to reality. We strive to please and fully satisfy your expectations. Graeme Sheffield is a Guelph based artisan blacksmith who owns and operates the Ironwood Anvil Forge. 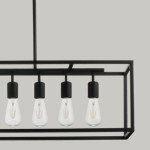 Working from his private studio, Graeme draws on over 20 years of metal-working experience for each project. To forge original heirloom-quality pieces, Graeme uses a combination of traditional and contemporary techniques with tools that have been used over the centuries. Graeme’s forge work has evolved quite a great deal over the last few years to accommodate the requests of his varied clientele. Graeme has produced many custom items for his clientele, including sculptures, wall hangings, furniture, gates and railings, fireplace accessories and hardware. It is through his constant involvement in juried art shows and unique commissions that Graeme has been given the opportunity to explore his craft. His work is displayed in commercial and private collections across Canada and has been published in numerous publications. Art Boulle is dedicated to the creation of magnificent works of art. They are cast in the rough; the tools of the chaser give them their sharpness, their minute finish, and their jewel-like smoothness. Fueled by a developing passion for ironwork making, we have voraciously pursued the knowledge and techniques of past eras, recreating not only the forms, but the techniques of these masters, our team at Art Boulle has created museum style pieces that will be endured for centuries to come. Any custom decorative metal fabrication and water jet cutting. We built custom metal stairs and railing systems. furniture, hood fans, signs,large 6 foot clocks, addresses fireplace mantles screens, decorative panels etc. All staff is trained in aluminum mild steel stainless steel bras copper and materials such as glass, granite, quarts etc. We are a family operated steel fabrication company with over 40 years of experience in the welding industry. We specialize in the fabrication of custom wrought iron handrails, fences, gates, balconies, staircase (circular/straight). As well as architectural steel work that consists of H-beams, I-beams or sheet metals. 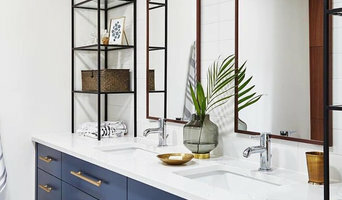 At Hall Ironworks, we hold the belief that clients’ must be involved with the vision and planning of a project so that the final product represents the nuances of their own individuality and desires. Synchronicity is key when more than one visionary is involved. For over a decade, this philosophy has enabled Hall Ironworks Inc. to become the premiere manufacturer of custom made doors, gates and ornamental iron in the Niagara region. After years in the automotive collision industry restoring classics, renewing and reforming metal, the One Off team decided to take our passion to new heights. With our extensive experience in welding, fabrication and installation we launched Forged Design. Specializing in one of a kind metal work, Forged Design is best known for our quality craftsmanship and artistic styling. Forged Design specializes in one of a kind custom metal work specifically designed for your space, where the sleek design and longevity of metal meets functional needs. We provide residential, commercial and industrial metal solutions. Quality craftsmanship, artistic design and most of all, customer satisfaction is guaranteed in everything we do. From classic wrought iron to the modern look of stainless steel, let Forged Design take care of all your metal projects from design to installation. OLG Railings provides a comprehensive range of iron work services. 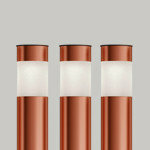 We specialize in providing the highest quality craftsmanship at a reasonable price. Our prices are unbeatable across Toronto and the GTA. We can custom fabricate, install and repair iron railings and fences. Contact us today for a free estimate! 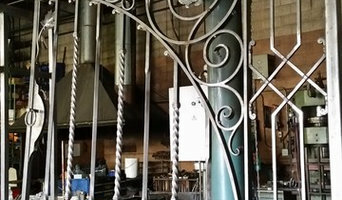 A Respected Toronto Iron Railings Company Our Toronto iron railings company has a reputation for excellent customer service, and it is no surprise. We are available around the clock to provide our customers with the attention they deserve. If you are in need of high-quality iron railings in Toronto, OLG Railing Company is always here for you. The Most Affordable Iron Railings Around If you are looking for wrought iron railings in Vaughan that will not cost you an arm and a leg, you will adore working with our company. We are also a great option for Toronto residents who are searching for excellent prices on iron railings. Our prices, simply put, are the cream of the crop! Professional Iron Railings Repair We provide a complete range of iron railings and iron gates repair services. If your iron railings need repair, don’t hesitate to contact us. OLG Railings provides no-obligation free quotes. If you are unsure whether your railings need to be repaired or replaced, contact us, and we will present you with options. 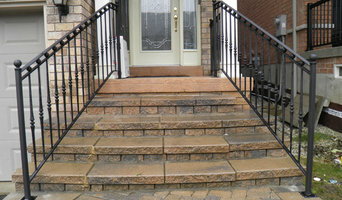 A Trusted Vaughan Iron Railings Company We do not only cater to the iron railing needs of residents of Toronto proper. We are also a trusted Vaughan iron railings company. If you are in need of wrought iron railings in Vaughan, we can accommodate all of your wishes. Whether you are located in Toronto or in Vaughan, you can depend on our pros 100 percent. 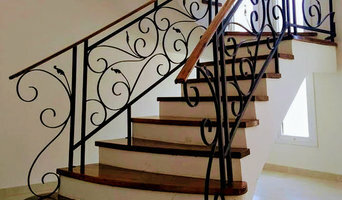 We do not only manufacture fine iron railings. We also install them. We even offer in-depth repair services. Options in Railing Designs When you work with us, you can choose your own preferred railing designs. Our experienced professionals will make your iron railings just the way you want them. Customer service is always our number one goal. That is why we are available around the clock to service our customers, every single day of the week. An ornamental ironworker fabricates bulk iron into the types of structures that a particular home calls for, then installs them onsite. Some of these pieces are mass produced, others custom crafted. Many ornamental ironworkers also have the design skills to fashion unique decorative components. Ironworkers must be trained in safety to create elements such as railings and balconies that both satisfy a home’s aesthetic needs and meet Toronto, ON building codes. Here are some related professionals and vendors to complement the work of ironwork: Fencing & Gate Sales & Construction, Decks, Patios & Outdoor Enclosures, Siding & Exteriors. Find an ironworker on Houzz. 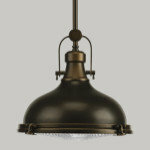 Narrow your search in the Professionals section of the website to Toronto, ON ironwork. You can also look through Toronto, ON photos to find examples of ironwork that you like, then contact the ironworker who fabricated them.